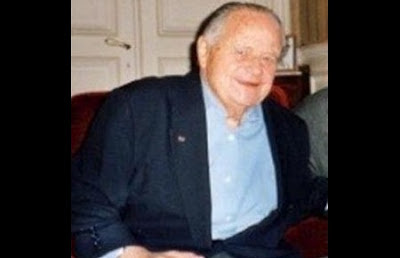 Jean Sangnier, a French World War II resistance hero and son of Sillon founder, Marc Sangnier, has died at the age of 99. He was buried Wednesday after a funeral at the St Thomas Aquinas Church in Paris’s 7th District. During World War II, Sangnier together with Emilien Amaury and others founded the so-called Groupe de Lille (or Groupe de Rue de Lille), one of the first organised resistance groups against the German occupation. One of the first tasks of the group was to work with another war hero, later executed by the Germans, Honoré d’Estienne d’Orves, who had been given the mission by General de Gaulle to set up the first radio links between occupied France and the free French forces in London. Jean Sangnier also printed a range of clandestine resistance publications, including Défense de la France, Résistance, the Catholic paper Témoignage chrétien, as well as the communist paper L’Humanité. He also published the speeches of General de Gaulle. All this from a covert printery located literally metres from the Abwehr, the headquarters of German military intelligence in France. After surviving the war, Jean Sangnier went on to co-found the daily newspaper Ouest-France and became director of a well-known magazine, Marie-France. And in 1990, he launched the Institut Marc Sangnier, named for his father, who had founded the Catholic lay movement, Le Sillon, or The Furrow. 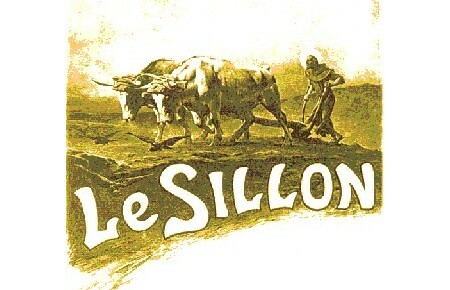 Little known today, even in France, the Sillon, which existed from 1894 until 1910, was later described by the future Cardinal Joseph Cardijn as the “greatest lay initiative since the (French) Revolution”. And the future Pope John XXIII, who as a young priest had heard Marc Sangnier speak in Rome in 1904, would also write that Sangnier senior’s “personality and his political and social activities are the most vivid memories of my sacerdotal youth”. Marc Sangnier’s Sillon movement only existed from around 1894 when it began as a student group known as the Crypt at the Stanislas College in Paris, until 1910, when a letter from Pope Pius X to the French demanded that Sangnier and his confreres resign from the leadership of the Sillon and hand control to the diocesan bishops. Sangnier and colleagues did indeed resign but the result was the almost instantaneous collapse of the movement. Nevertheless, the heritage of the Sillon lived on in many other movements. Cardijn’s see-judge-act methodology, which became the mainstay of later movements such as the Young Christian Workers and Young Christian Students and the MIJARC, was largely borrowed from the Sillon’s own “method of democratic education”. In fact, the Sillon was the prototype for these later movements which emerged under the papacy of Pope Pius XI. Nor was it an accident that it was Pope John XXIII whose encyclical Mater et Magistra formally adopted the see-judge-act method as a part of Catholic social teaching and practice. Marc Sangnier never got the credit for the role that the Sillon had played in the emergence of the later movements, although Cardijn certainly recognized it. “It is the privilege and the reward of the sower of the ideal of life to be unable to limit the field that he seeds or to constrain the range of his fertile gesture. The winds of the air and the birds of the sky carry off this seed and deposit it sometimes far away, in a field where God’s makes it fruitful and multiplies it,” Cardijn told Marc Sangnier in 1921 in an explicit (but unpublished) acknowledgment of his influence. In any event, Jean Sangnier was very pleased when I published an article in 1997 detailing the role that the Sillon had played in the emergence of the YCW and other lay movements, including the American Catholic Worker. As with his father, Jean Sangnier’s achievements have often remained in the shadows. All the more reason to offer this small tribute to a man who was in effect the last living link to the Sillon.